UPDATE: Pre-Orders are now available. You can pre-order through GameStop by clicking here. For a few years now, we’ve seen Nintendo drop major news in the form of Nintendo Directs. I know Jonathan has spent the past few weeks anticipating a Direct filled with holiday releases and other crazy announcements. But this news absolutely came out of nowhere. Not only has Nintendo announced the brand-new 2DS system and release dates for their entire holiday line-up, but…something everyone’s been waiting for has finally been (doubly) confirmed. 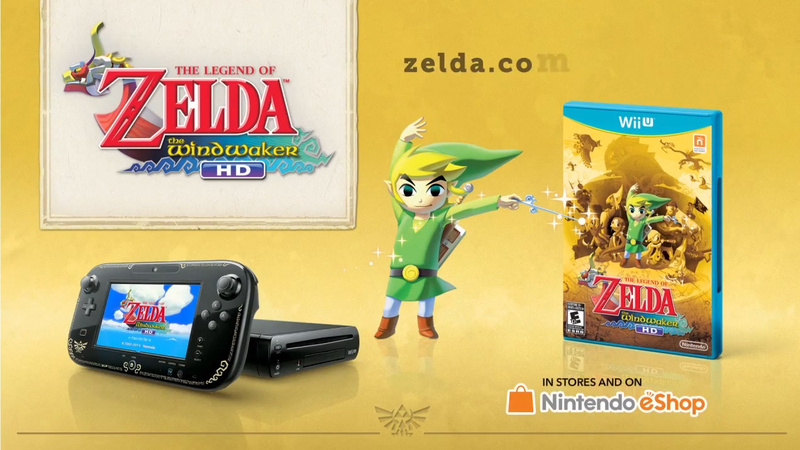 What you’re looking at is the new The Legend of Zelda: The Wind Waker HD Wii U Deluxe Set, offered at $50 (USD) less than what the Wii U was released at. 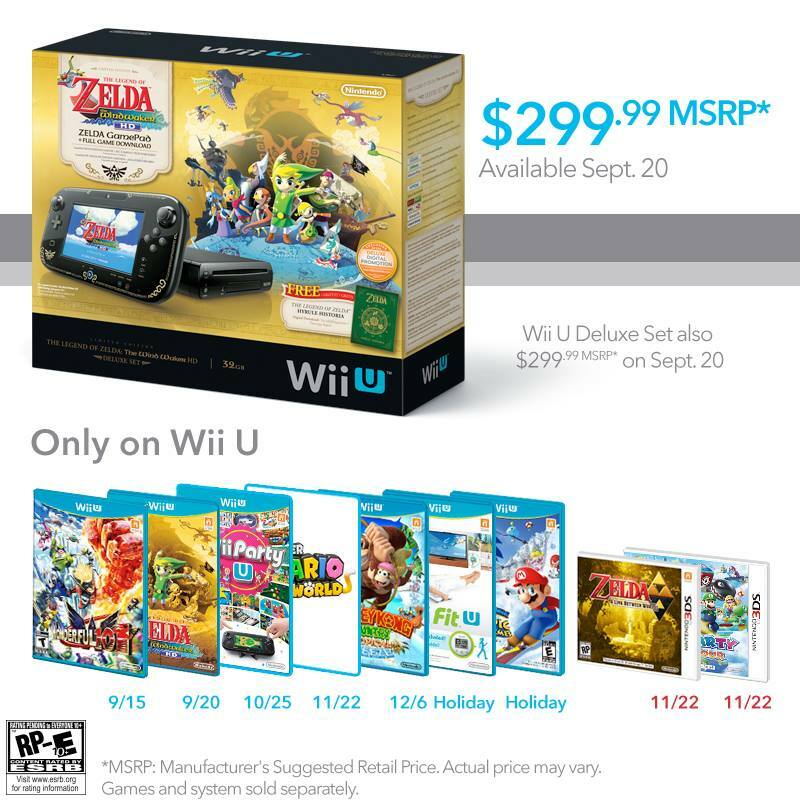 Not only are we getting that fantastic Zelda bundle, but indeed, the Wii U is dropping in price by $50. No Ambassador Program (yet? ), no fanfare—just straight to the point. The Wind Waker Wii U bundle comes with a GamePad featuring Zelda-inspired gold accents, a full download of the game, and a free digital copy of Hyrule Historia, the amazing volume encompassing the Zelda series’ conceptual art and history from the past 25 years. More information as it comes—stay tuned! A YouTube video surfaced from Nintendo ever so briefly that featured a Wii U console with a very specific logo on it. The Triforce from The Legend of Zelda can be seen on the bottom-left corner of the Wii U GamePad. (Nice!) The official video was taken down, but some quick thinker was able to upload it to their own YouTube account. I’ll leave that link right here for anyone who wants to watch it. The Wind Waker HD Wii U bundle will likely get an official announcement in a Nintendo Direct, which we all hope will happen sooner rather than later. We will keep you up-to-date with any new developments. Want to see what we thought of the game? Check out our hands-on look at The Legend of Zelda: The Wind Waker HD from E3 2013.